Russia-led occupation forces mounted 15 attacks on Ukrainian army positions in Donbas in the past 24 hours, with one Ukrainian soldier reported as wounded in action. 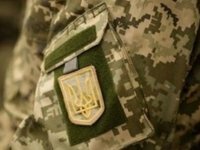 "One Ukrainian soldier was wounded in the past day. According to intelligence reports, three Russia-led fighters were killed and another two were wounded," the press center of Ukraine's Joint Forces Operation (JFO) said on Facebook December 6 morning. The Russian occupation forces opened aimed fire from grenade launchers, heavy machine guns and small arms to attack the defenders of the town Krasnohorivka, and the villages of Pisky, Taramchuk, Novomykhailivka, Chermalyk, and Hnutove. Also, the enemy used 120-mm mortars, shelling the Ukrainian fortified positions near the village of Opytne, while those near the village of Vilniy came under fire from 82-mm mortars five times. The enemy used a ZU-23-2 towed 23-mm anti-aircraft twin-barreled autocannon twice in the area, as well as anti-tank guided missiles. "Since December 6 midnight, Russian-led forces haven't attacked the Ukrainian positions yet," JFO HQ said.